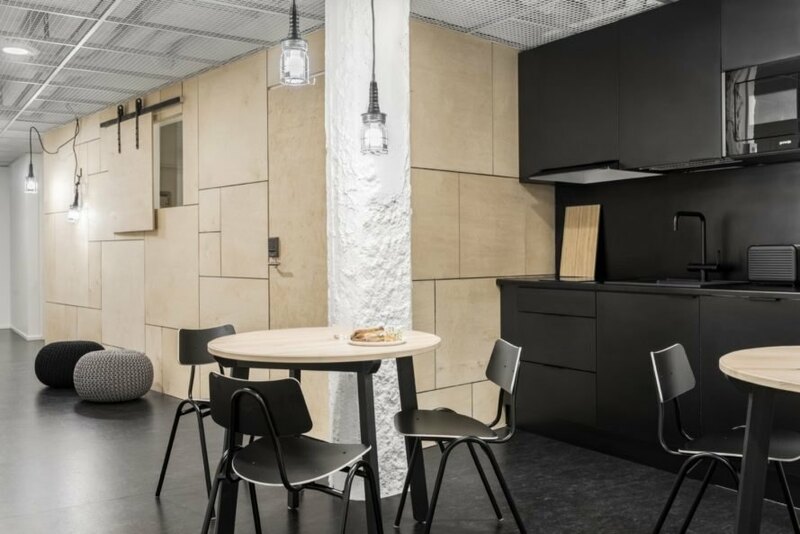 Helsinki-based design firm Studio Puisto Architects has turned an old bank building into the new and chic Forenom Hostel Jyväskylä in the heart of Jyväskylä’s downtown pedestrian precinct. Completed in December 2017, the adaptive reuse project imbued the dated building with a modern refresh that oozes warmth and comfort with its predominate natural materials palette. During the renovation process, the architects carefully preserved elements of the original design, such as the vault, as reminders of the building’s history. 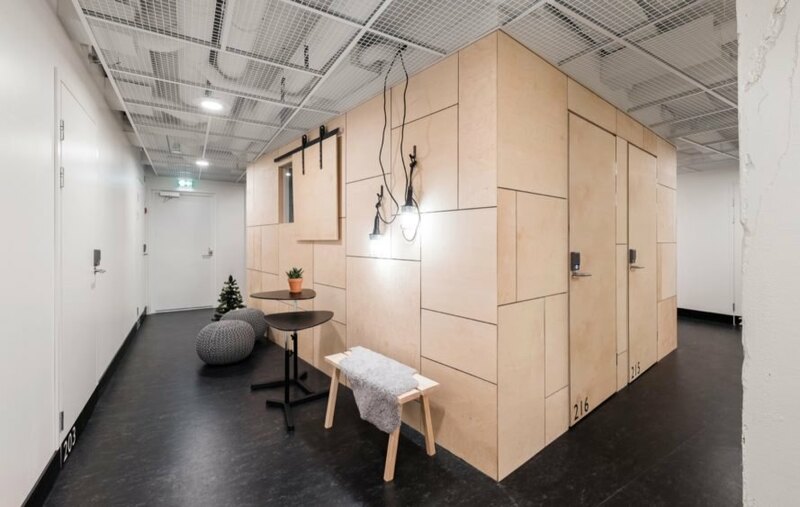 Commissioned by Scandinavian real estate company Forenom, the modern Hostel Jyväskylä spans an area of 1,043 square meters and includes 49 beds with rooms ranging in size from five to 18 square meters. The ground floor houses the reception and includes space for retail and restaurant use, while the lodgings are located on the second, third and fourth floors. The basement level holds a larger restaurant as well as the hostel’s spa and sauna facilities. The Jacuzzi space is inside the former bank vault, which is lined in alder. 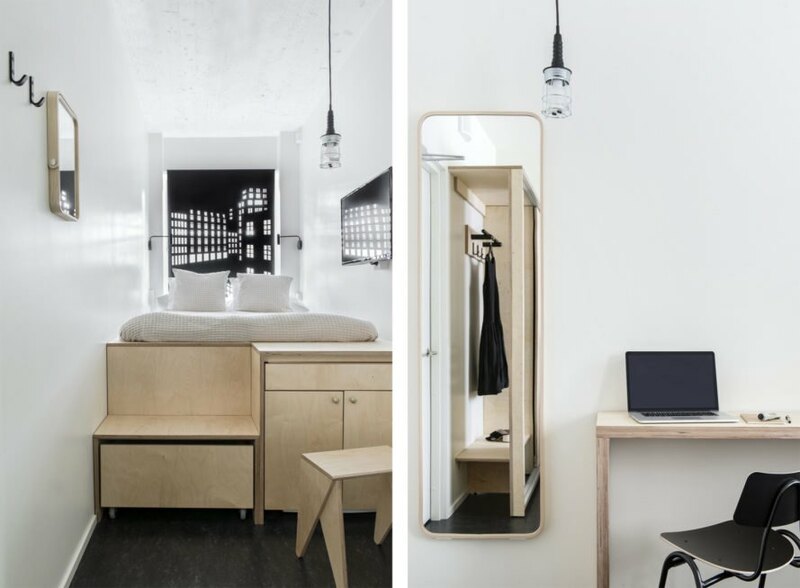 In keeping with modern Finnish design, the interiors are minimalist and dressed in simple natural materials with plywood furnishings throughout. Boxy plywood volumes were constructed for the bedrooms, of which there are three types on each floor. The compact bedroom volumes open up to a shared central space, kitchen and bathrooms. The hostel is located in a pedestrian-friendly area at the heart of the city. The bedrooms share common areas, including a kitchen. Each floor features three different types of bedrooms. The furnishings are built from birch plywood. 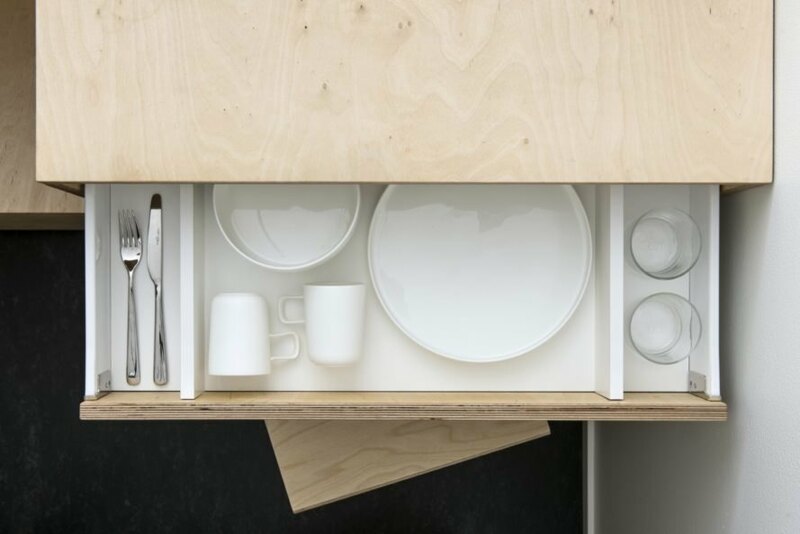 The minimalist, space-saving design approach helps reduce visual clutter and maximize efficiency. 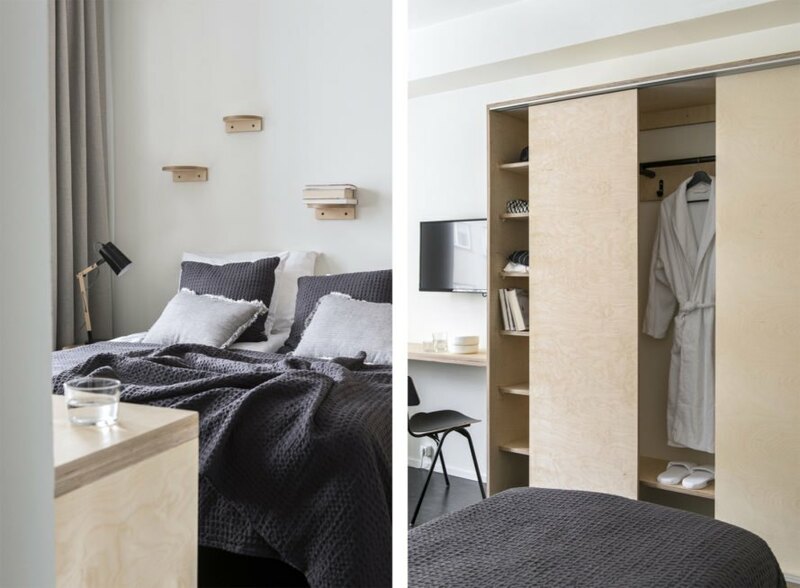 The bedrooms are housed in a series of plywood volumes.